The char Dham or the four holey place of Hindu religion are Yamunotri, Gangotri, Kedarnath & Badrinath. Usually this same sequence is followed while traveling and the holey tour starts with Yamunotri and ends with Badrinath Dham. This movement is from left to right or from waste and east. 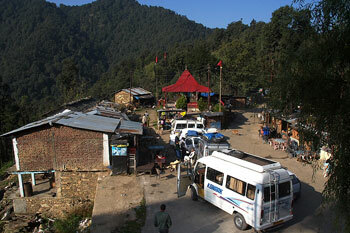 Yamunotri is the starting point located at the west of all other places. Here is a tentative itinerary for this journey; however this can be changed as per requirement. Usually the journey starts from Haridwar and ends at Haridwar. It is advisable to keep one or two days buffer time at the end to cover up any delay on the way due to landslide or any other type of problems. If you are back to Haridwar in time then you can spend some time at Mussoori hill station or visit the temples around Haridwar. At a distance of 40 KM Rishikesh is another pilgrim place by the side of Ganga river. Note that night traveling ( after evening ) is not allowed in hills of Uttarakhand. There can be two nights and three day trip only to Badrinath Dham by staying two nights at Joshimath. However stay at Barinath Dham is advisable if you are interested to visit surrounding areas. Same way two nights and three days can be planned for Gangotri temple Darshan. Char-Dham Yatra is not open throughout the year, it is only for continue for six month starting from May month and ends during last of October. The exact opening and closing time of the temples depends on important dates of Hindu calendar. As these temples are located at a higher altitude so these places became inaccessible during winter seasons and the god & goddess are shifted to a lower area from their original place and during these winter time all rituals of the gods are performed but these are not connected with Char Dham Yatra. May & June months are the peak seasons for the yatra & during these time maximum people perform Char Dham Yatra. After this period traffic slows down and during monsoon and till the end of Yatra period there will be less people visit these temples. If you want to avoid heavy cowed and can bear little more cold then end of October , just before closing of temples is the best time. During this time no need to book hotels in advance and cost of hiring vehicles became less. Carry your woolen dress during the journey and they will be mostly required at Badrinath and Kedarnath. Oxygen cylinder are available at a cost of Rs 360, if not used then can be returned at Rs 300/- . Through out this journey standard Indian food is available and in Yatra time many extra food stalls will be available. There are restaurants serving all types north Indian and south Indian dishes including noodles etc are available at Badrinath Dham. There are plenty of road side Dhabas and the popular breakfast in this region is Puri or Alu paratha. There are many tour operators available from Haridwar and some have offices at Delhi. Please note that go2india.in does not offer any package nor we are in this business. We only provide you information to help you to plan your travel. 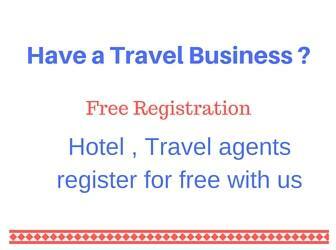 We have used services of some travel operators different times and if required we can provide you their contact details. We are no way associated with them.